Dr. Mark Rizzone has been awarded the Electrocoat Association’s prestigious George E. F. Brewer Award. 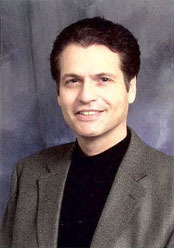 Dr. Rizzone is Business Manager in Koch Membrane Systems’ Industrial & Life Sciences Group. The Brewer Award is presented to individuals who have dedicated their career to advancing electrocoat technology. Three awards are generally given in the areas of Technology, Application and Promotion. Dr. Rizzone received the award for Market Promotion of Electrocoat Technology at the Industry Awards Banquet held at Electrocoat 2012 on April 11 in Orlando, FL. Koch Membrane Systems, a world-class developer and manufacturer of innovative membranes and membrane filtration systems, has more than 40 years of experience with membrane applications for electrocoat paint, and can provide standard or custom racks and systems that maximize paint recovery and minimize water and wastewater processing costs. For more than four decades, Koch Membrane Systems, Inc. has led the way in developing innovative membrane technologies that serve a diverse range of industries and applications around the globe. KMS provides solutions to markets including industrial and municipal water and wastewater, food and life sciences and industrial processes, helping thousands of industries reduce their water footprint, increase productivity, and reduce costs. With an installed base approaching 20,000 systems throughout the world, KMS is setting the standard as a comprehensive membrane solutions provider. ©2012 Koch Membrane Systems, Inc. The STYLIZED K is a registered trademark of Koch Industries, Inc. in the U.S. and other countries.The FLOW LINES DESIGN is a registered trademark of Koch Membrane Systems, Inc. in the U.S.Koch Membrane Systems, Inc. is a Koch Chemical Technology Group, LLC Company.